I've done a fair bit of posting (and screencasting) on this topic for VW - Torsten has covered the bases for Squeak and Pharo in a very impressive way. The fine folks at VMware (formerly GemStone) are so kind to pay for the venue of the Seaside Sprint after ESUG in Edinburgh. I wonder whether Google has any edge cases like this one John Forsyth found in Bing? At first I thought it was a problem with the URL I was searching for, but it turns out any search containing the words "view topic" will crash Bing. "what topics do they discuss on The View?" It turns out that Bing is filtering out searches for phpBB that involve viewtopic.php (a huge security problem, seemingly) - and a bunch of other searches are merely collateral damage. Go read the whole story - it's fascinating stuff. 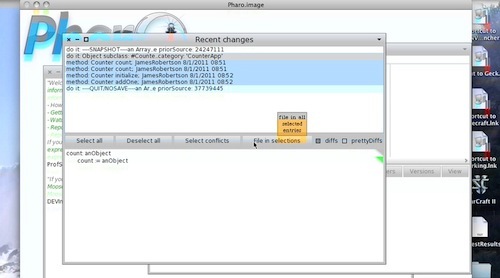 Stef Ducasse has written two more chapters of Pharo documentation. Join the Facebook Group to discuss the tutorials. You can view the archives here. 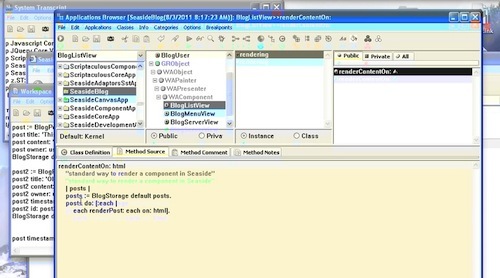 "standard way to render a component in Seaside"
posts := BlogStorage default posts. 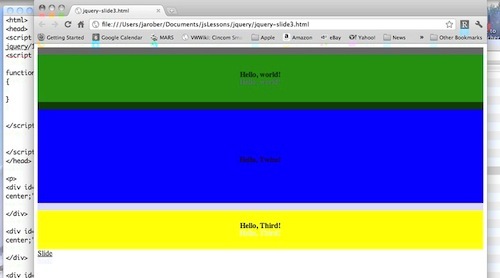 each renderPost: each on: html]. html strong: [html text: post title]. html text: 'Posted on: ', post timestamp printString. BlogStorage default users add: user. post title: 'This is a Test'. BlogStorage default  posts add: post. post2 timestamp: (AbtTimestamp date: (Date today subtractDays: 1) time: Time now). post2 id: post2 timestamp totalSeconds. BlogStorage default  posts add: post2. Need more help? 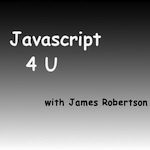 There's a screencast for other topics like this which you may want to watch. Questions? Try the "Chat with James" Google gadget over in the sidebar. I think anonymity on the Internet has to go away. People behave a lot better when they have their real names down. … I think people hide behind anonymity and they feel like they can say whatever they want behind closed doors. Maybe these guys should have a look at the credited authors of the "Federalist Papers" - oh, wait - they were anonymous. Or perhaps at Ben Franklin's work during the same era - published anonymously. While I usually prefer that people attach their names to comments, it's not always the best policy. When the "consensus answer" on a question is X, and you think Y, it can be safer to push your ideas behind a veil of anonymity. One size does not fit all here. If this Euclidean technology demo holds up, games are about to get a lot cooler looking. "Activities that are made possible by 4G, such as watching movies or uploading video to the internet, are made impossible by the data caps," wrote the report's author, Michael Weinberg. Well - I can certainly speak to that, as I use tethering on my iPhone quite a bit. As most of you know, I travel to Texas on a regular basis for work, and the class of hotel I'm staying is often, shall we say, bandwidth challenged. Quite frequently, I use my iPhone instead of the hotel wifi to upload my daily screencasts, and I haven't come close to going over the bandwidth cap. Heck, I've downloaded a bit over 5gb since July 2010, using the 3g network pretty heavily. I'm not sure what the alternative is - making it all unlimited and "free" is likely to lead to a tragedy of the commons situation. Like it or not, the airwaves are a much more constrained resource than, say, a fiber optic line. We'll end up paying for usage one way or another, either directly via tiered usage plans, or indirectly via rationing. There's no magic bandwidth fairy out there who can create more spectrum. 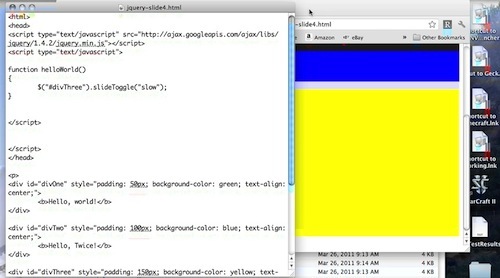 Create a blog easily with SmallHArbour from Romain Verduci on Vimeo. This is one area that the commercial vendors - Cincom and Instantiations - are way, way ahead in. If you load something that has pre-reqs, it's likely that the pre-reqs are set, and that they'll load automatically. Using Gofer with Pharo (for projects that have a configuration), that's also true. In Squeak? It's still a huge problem. "Initialize a newly created instance. This method must answer the receiver." menuComponent addEntry: 'All Posts' withAction: [self allPosts]. menuComponent addEntry: 'Today''s Posts' withAction: [self todaysPosts]. 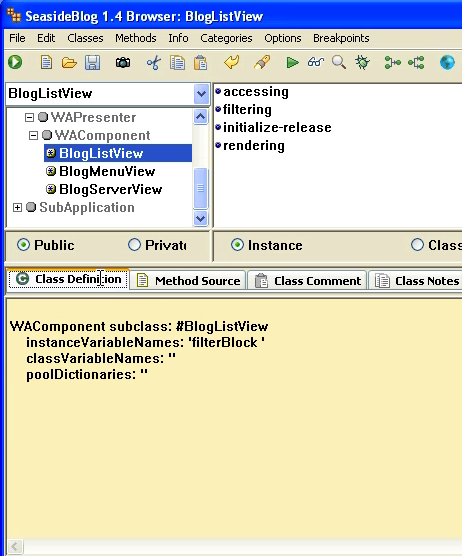 "set up the initial filter"
posts := self filterBlock value. It should do the right thing now! That's as far as we'll go in this section. Next, we'll look at custom sessions. Better Inventory System for Skyrim? "RPGs send you into menus more than almost any other game genre, so it's weird that more thought doesn't go into inventory design, but as I play around with powers, weapons and items to lighten my load it becomes clear that Skyrim is a welcome exception. Its nested menus are accessed almost as smoothly as iPad page swipes, and navigating them is quick and clean. You can set favorites, equip items to either hand, and examine things in detail. More than once during my brief hands-on I have to rotate an object to look for a clue to a puzzle, or read a document, and it's all done without going to a different screen or do anything more complex than wiggling sticks and hitting a face button. It's easy to imagine that a system like this in Oblivion or Fallout could have shaved hours off the average player's actual game-time. I am working on an IDE for GNU Smalltalk from time to time. 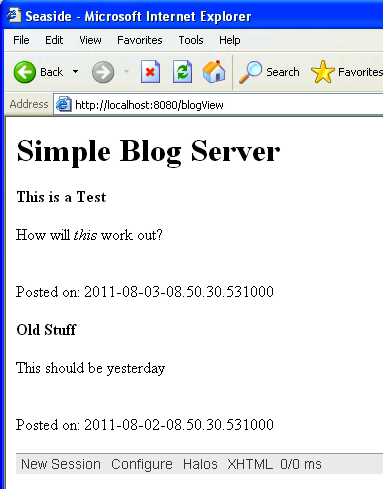 It is called Overlord and it is a simple and classic class browser like gst-blox (so nothing new). It has come to a stage where it might have its usage for some people. Besides the very very ugly coding, it lacks some major features like exporting capability, debugger and inspector. Also its text editor is just a text view for now... But you can do simple things like adding/editing/removing namespaces, classes, methods and it has syntax highlighting. That came to mind because the USB hub I ordered on Amazon - a replacement for the one that up and died yesterday - arrived a few minutes ago. Making do with an ancient 4 port hub for less than 24 hours was a lot simpler than heading out to Best Buy, which is what Jeff is partly on about. His larger point is just wrong though - consider agriculture. Over the last 200 years, that's gone from a field employing nearly all people to one that employs very few, while also growing more. Did that lead to a huge problem of idle hands? The problem is simpler: the current crop of elites we have in this country (and, I think all over the world, really), is simply not ready for the future. They are desperately trying to regulate the status quo back into existence, and all they are accomplishing is stagnation. Back when the revolution of automation hit agriculture, governments mostly stood aside, and it all worked out (yes, with many bumps and problems along the way). What we face now isn't a jobless future; it's a complete lack of useful governing elites, right across the political spectrum. They really, really don't know what they don't know. How Useful are the new Airport Scanners? Not Very, it seems. Amazing what happens when an independent source takes an unbiased look. Watch the TSA utterly ignore this; they wouldn't know what a real threat looked like if it blew up 3 feet from them.